In my previous professional experience as SQAS assessor, I’ve had the opportunity to visit and assess about 50 different cleaning stations all over Europe. During these assessments I’ve tried to understand all the applied technical solutions without judging their quality, since they all seemed plausible (although they were sometimes contradictory to each other). Everything depended on local conditions such as water pressure, health, water supply, detergents used, and so on. 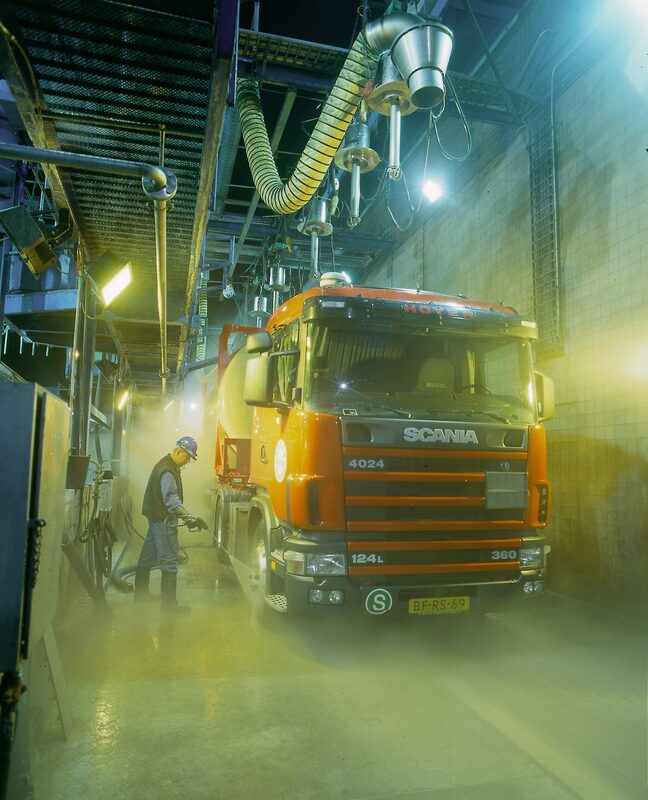 Choosing a tank cleaning facility to prepare your tank for the next load depends on different factors. First of all we have to consider the tank as such. It is obvious that a straightforward stainless steel tank, without any supplementary features such as heating coils, needs to be treated different from a lined tank with auxiliaries such as protected pressure relief valves, thermometers, level indication or other sensitive equipment. The second issue is the previous load. A lot of products need special attention depending on their properties such as viscosity, water solubility, reactivity and toxicity. The third element is the product to be loaded. Normally this shouldn’t be an issue if the tank was properly cleaned, but in practice we experience a lot of supplementary requirements. Blacklisted previous cargoes; GMP-HACCP (Good Manufacturing Practice and Hazard Analysis and Critical Control Points), Kosher cleaning, specific cleaning methods or controls are often required by the customer or by the end user. The fourth and final element to consider is the proximity of a cleaning station in combination with the cleaning price and, for accompanied tanks, the throughput time for a cleaning. Taking all these issues into consideration we can start looking for a cleaning station. The minimum requirement should be that the cleaning station can offer a European Cleaning Document after cleaning. This ECD can only be issued by a cleaning station which is member of EFTCO via the appropriate National Association such as DVTI (Germany), NRTCA (UK), CTC (for Belgium), Aplica (for France) and have a valid SQAS cleaning assessment. On the EFTCO and (some) National Associations websites we can also find some more information about operation permits of and facilities at the different cleaning stations. This information is, however, not always up to date because it depends on the data sent by the cleaning stations. For a standard cleaning this data should be enough to decide whether to use the station, but if a transport company needs more detail or if the cleaning could contain some supplementary risks or needs, a more thorough investigation could be needed. A second step in this process could be an evaluation of the SQAS-cleaning report. When the transport company is member of the Logistics and Distributors User Group of SQAS they could ask the cleaning station to open their report for evaluation, if not, a PDF-report should be made available. This SQAS report is issued by an independent SQAS assessor and outlines both technical and organisational facts and figures, which allows the reader to get a good picture of the performance of the cleaning station. Issues such as which products can be cleaned, the details of the operational permit, the pressure and temperatures used, the waste water treatment and competence of the cleaners can, amongst others, be deciding factors. If all this information doesn’t satisfy the potential user of a cleaning station, a second-party audit using a specific questionnaire can be the final way to decide whether to use the station. This questionnaire can be filled in by the QSHE (Quality, Safety, Health & Environment) manager of the cleaning facility, by an independent assessor or by a competent employee of the company. A high level of detail and accuracy are vitally important in this area. As you can read in this article, a lot of information is already available to make a decent choice but we notice that the end-users are not always satisfied with this level of detail and are always increasing their demands. Organisations such as CEFIC, EFTCO and ECTA are always improving to comply with these present and future demands of their customers by updating the mutual SQAS questionnaires and other assessment schemes. This entry was posted in Equipment & Technology, Features. You can post a comment.